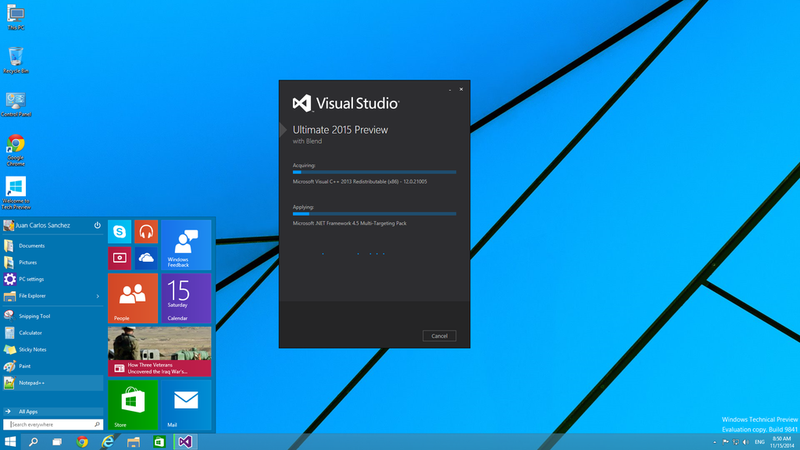 I just installed Visual Studio 2015 Preview on a Windows 10 tech. preview, the first thing I wanted to try out was C# 6.0. The are a lot of videos and posts on internet about the new features of C# 6.0. The goal of this post is to test them by myself and share my impressions. I will use this post in the future as a personal reference for C# 6.0 new features. I wrote a small sample class that I will use as an example to test the new features. We can remove “private set” from read-only properties, properties with only a “setter” can be initialized only from the constructor or with auto-initialization. Note that if the method has not parameters we can also avoid the parentheses.